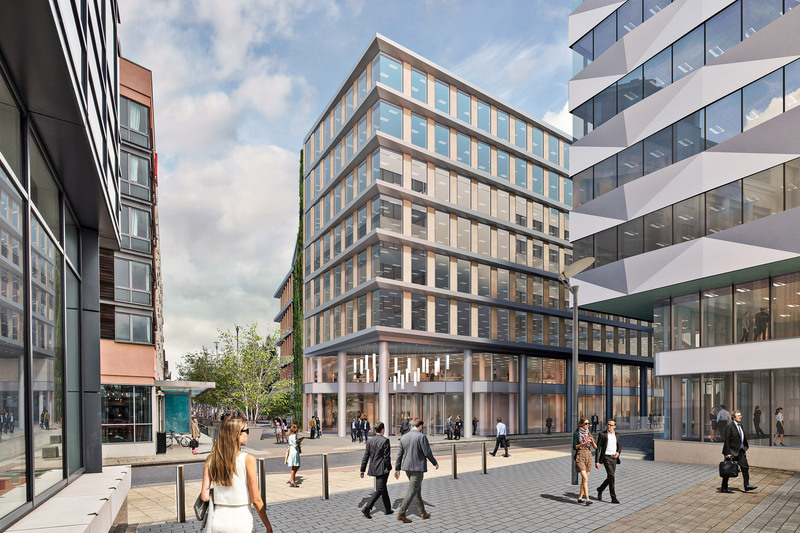 Planning consent secured for 4 Glass Wharf: New office scheme will mark Darling Associates’ second project with Salmon Harvester on site 10 January 2018 Planning consent has been secured from Bristol City Council for 4 Glass Wharf, a major new 210,000 net sq ft headquarters office development in Bristol’s Temple Quarter Enterprise Zone. The project has been designed by award-winning architecture studio Darling Associates for developer Salmon Harvester Properties Ltd (Salmon). The eight storey building will be situated on a brownfield development site neighbouring Salmon Harvester’s currently-under-construction 3 Glass Wharf, which has also been designed by Darling Associates and is pre-let to HMRC. That scheme is currently under construction and is scheduled for completion in Q4 2018.